DIVINE CHRISTIAN GIFTS - St. Anthony 2019 Standing Calendar. St. Anthony 2019 Standing Calendar. 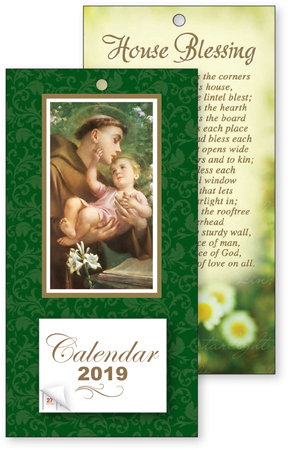 2019 St. Anthony standing calendar with house blessing verse on the reverse. Standing calendar can also hang Size: 8" x 4", with envelope.